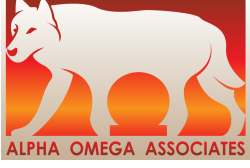 Alpha Omega Associates (AOA) brings together professional consultants with a unique set of skills to help you optimize your organizational opportunities. We feature a team of organizational consultants specializing primarily in Industrial/Organization Psychology, Applied Psychology, Program Evaluation, and Statistics/Research methodology. With consultants throughout the United States with experiences in organizational consulting, survey design, coaching, research methodology, and statistics we are ready to help you. Our consultants have worked internally and externally with private, governmental, non-profit, and educational organizations ranging from the very small to Fortune 500 companies. When you hire AOA, you will have the dedication and expertise of the entire team, led by a project lead who is there with you the whole time. Our strong association of consultants also helps us to reduce costs and we pass those savings on to our clients. If you have always thought organizational consulting would be out of your price range, we know you will be impressed with what we can do. Visit our Contact Us page and let us prepare a quote for you! Although we often work remotely or on-site as necessary, we have consultants in or near these locations ready to meet with you.